You might have seen people asking developers to make an ecommerce application in Magento. Before moving on to how Magento can help you and your business, let’s know more about Magento. It is an ecommerce based web application which makes use of open source technology. It provides the user with flexibility regarding the looks, features and functions of their application. It provides various management tools, marketing technology and search engine optimization. The applications that are created by Magento can be tailored and shaped as per the customers’ need. That is why it is one of the favored web applications these days. There is almost no one in the world that does not have mobile with them these days (except for children). You can see people chatting in their mobile, playing games in their mobile, browsing internet in their mobile and on goes the list. So, in the world where mobile has become one of the necessities, many application companies have started to customize their applications so that they can run in mobile. This is what Magento has done as well. After all it needs to stay in competition. After Magento Mobile was introduced in the market, the applications that were made in Magento could then be used in mobiles as well. This paved way for the development of mobile applications for Android and iPhone platform. With the help of Magento mobile, you and other ecommerce site can be connected to their customers through mobile devices. The number of Smartphone and tablet users has been increasing in leaps and bounds. So, if you make a mobile application related to your ecommerce site then you will benefit a lot from it. 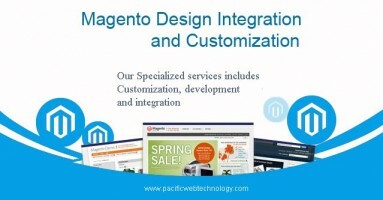 That is why Magento Development Company has been increasing in huge number. What’s new with Magento mobile application? The Magento mobile application allows the Android and iPhone users to view products and transactions, and visit shopping carts. Once the mobile application has been developed, you won’t have to pay for the application again and again. There will no additional or recurring fees. The custom Magento mobile application allows the user with functionality and control through their mobile devices. This can add more benefit to your business. How can merchants benefit from this application? The merchants can contact Magento E-commerce Company to build a custom made mobile application for them. Not only will your customers benefit from this application, even you as the merchant can benefit from it. An inventory system will be integrated with your Magento mobile application. This inventory system will keep track of the status of your inventory system and the amount of your stocks. It will take your customers to a whole new level of shopping experience because they can view their order, make payments through store credit or gift card, write reviews and view their shopping cart. You can take help of Magento Development Company to increase your number of mobile customers.